I have been eating more raw foods lately. Not that I am a raw food vegan by any means. I just think it is healthier to have a high percentage of plants in your diet. And raw plants tend to have higher nutrient content and think about all that good fiber. There is the added benefit that your stomach is satisfied without all the added calories and fat that often accompanies cooking. 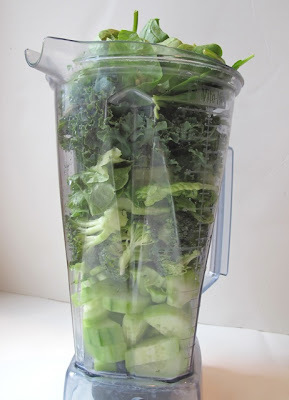 You can eat bushels of greens and not gain an ounce. 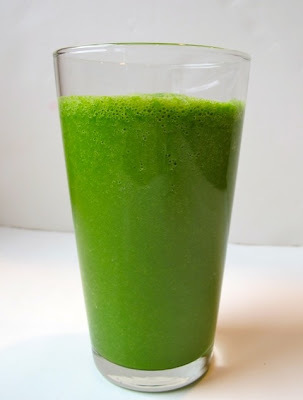 Anyway, my green smoothie of the day is a blend of cucumbers, broccoli, romaine lettuce, kale and spinach. 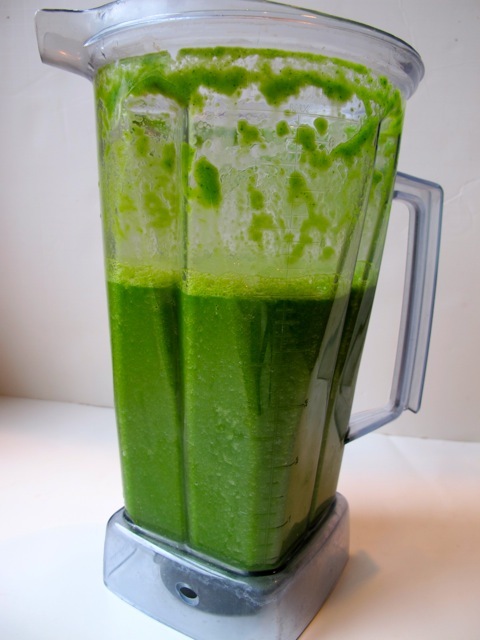 I blended it up with a cup of Silk brand coconut milk and a bit of water. Yes, I drank the whole pitcher full and feel very full right now. I like to mix it up with my morning breakfast smoothies and today I tried something new. It certainly pleases my palate and it might tickle your fancy too. 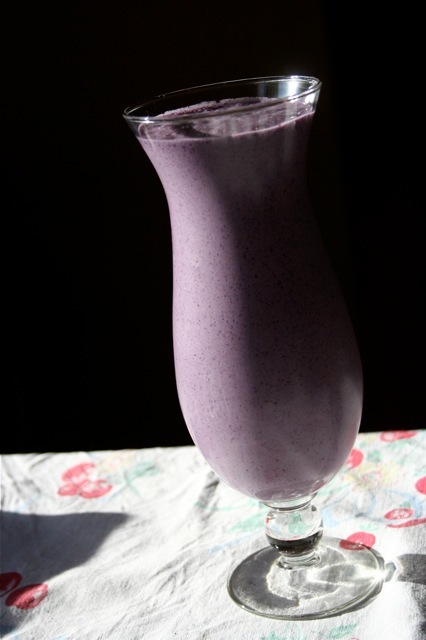 This is a very simple smoothie – 1 cup light soy milk, 1 cup frozen blueberries, 1/2 cup water, 1 scoop of whey protein powder (unflavored) and a handful of fresh arugula. The greens are from my garden and are particularly peppery this time of year as the August sun starts to wane. The drink is remarkably good with a subtle hint of spicy arugula providing an undercurrent to the berries. I love smoothies for breakfast. I have one almost every day. It’s the perfect thing after a brisk morning run. 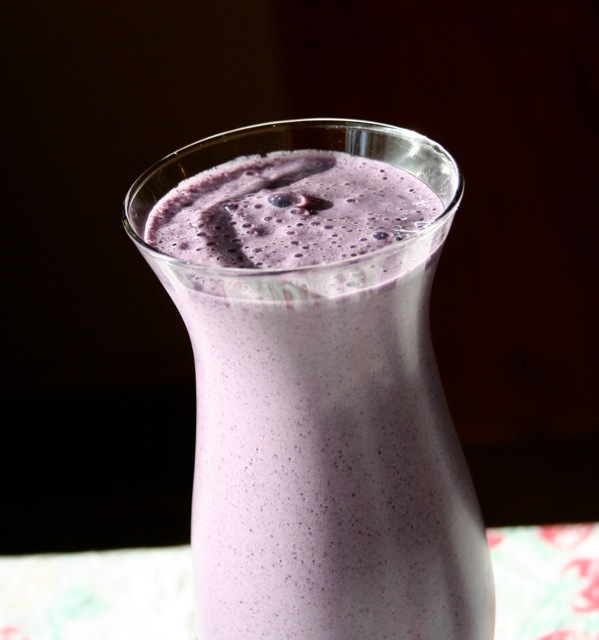 I have been playing around with different combinations of fruits, vegetables and whey protein. I stumbled on this one which is a winner. 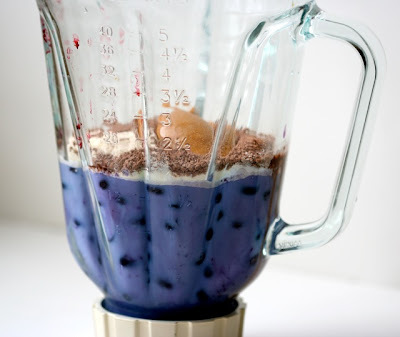 This is a Blueberry Mint and Protein smoothie. It’s very simple. 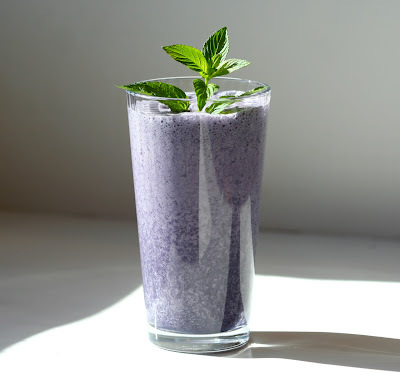 I used one cup of light Silk soy milk, 1 cup of blueberries, 1 scoop of protein powder and about a dozen fresh mint leaves. The mint and blueberry works so well together. It’s refreshing and nutritious. Chock full of wonderful vitamins and antioxidants. I don’t post breakfasts often but I do eat them. Often after my runs in the morning I will whirl up liquid nutrition to get my muscles recovering and get me going in the day. 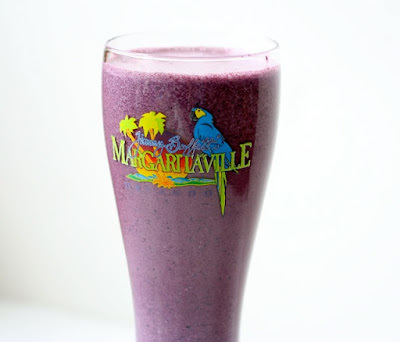 This morning after a fast 5 mile run I made one of my favorite concoctions, a blueberry banana smoothie. 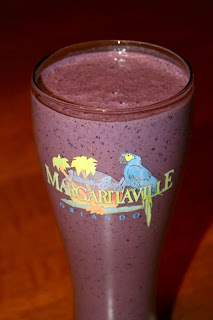 I like to drink them out of my big tall Jimmy Buffet Margaritaville glass.